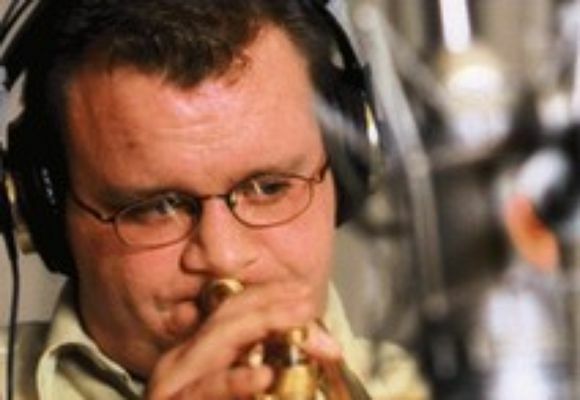 Ryan Kisor (Trumpet) was born on April 12, 1973, in Sioux City, Iowa and began playing trumpet at age four. In 1990, he won first prize at the Thelonious Monk Institute's first annual Louis Armstrong Trumpet Competition. Mr. Kisor enrolled in the Manhattan School of Music in 1991, where he studied with trumpeter Lew Soloff. He has performed and/or recorded with the Mingus Big Band, the Gil Evans Orchestra, Horace Silver, Gerry Mulligan, Charlie Haden's Liberation Music Orchestra, the Carnegie Hall Jazz Band, the Philip Morris Jazz All-Stars, and others. As well as being an active sideman, Mr. Kisor has recorded several albums as a leader, including Battle Cry (1997), The Usual Suspects (1998), and Point of Arrival (2000). He has been a member of the Jazz at Lincoln Center Orchestra since 1994.